After his arrival in Oregon in 1969, Mr. Martin spent one year as law clerk for the Honorable Thomas H. Tongue, Justice of the Oregon Supreme Court. At the conclusion of the clerkship, Mr. Martin became an associate with the Portland firm of Dezendorf, Spears and Lubersky (now Lane Powell, et al.) After approximately two years with that firm, Mr. Martin moved to Bend, Oregon, preferring to practice in a smaller community. In Bend, Mr. Martin joined the firm of Gray, Fancher, Holmes and Hurley where he spent nine years concentrating his practice onlitigation. In 1980, he joined Win Francis and he and Mr. Francis remained a two-attorney firm until 2003, when they were joined by Martin E. Hansen. Mr. Martin has continued to handle litigation almost exclusively and primarily in the areas set forth above. 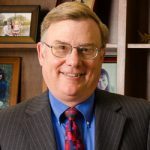 During the course of his practice, Mr. Martin has tried cases in nearly every county in the State of Oregon, as well as in the US District Court including appeals to the US Court of Appeals for the 9th Circuit. In addition to practicing law, Mr. Martin has served on Bar committees, including a three-year term on the Board of Bar Examiners from 1978 until 1981. Mr. Martin and his wife, Janis, have two children. Mr. Martin moved to Oregon from the Midwest because of his great interest in pursuing outdoor activities that over the years have included skiing, cross-country skiing, hunting, fishing and rafting.